In this series of articles, the Missile Defense Advocacy Alliance will address and dispel the most common misconceptions regarding missile defense. In this edition, we will explore the misconception that missile defense doesn’t work. The bulk of criticisms directed at the reliability of missile defense have been aimed at the Ground Based Midcourse Defense System (GMD), which protects the U.S. against long range ballistic missile attacks. There has been very little disparagement about the effectiveness of other regional systems such as Aegis and THAAD that have a proven and widely acknowledged reliability. If missile defense doesn’t work, why do the United States and many other countries around the world, continue to invest in these capabilities? This article seeks to answer that question and address the issues that have undermined the national missile defense system including failed policies, rushed deployment, and a lack of essential capabilities. While the early problems with the GBM systems early development may be discouraging, it does not suggest by any means that fielding a reliable system is impossible or undesirable. To fix the problem with the interceptor, the Pentagon has asked for around $550 million for a new EKV to sit atop the Ground Based Interceptors (GBI). President Obama’s 2010 Ballistic Missile Defense Review acknowledged that the protection of the United States from the threat of a ballistic missile attack is a critical national security priority. However, the Obama Administration has failed to take action on its own written policy. The FY15 White House missile defense budget proposal is the lowest total ever requested by President Obama during his 5 years as the President of the United States. No program, especially one as technically demanding as missile defense, can succeed with such shortsighted policies. Test is critical to the success of any complex weapons system, and when it comes to missile defense countermeasures, our adversaries don’t do much of it, which means they can’t know how they perform. We’ve had our own extensive countermeasures program, and we learned just how difficult it is to get that right. Countermeasures take up payload space and have weight considerations, so there’s also a tradeoff. Bottom line . . . it’s not as easy as it might look on paper. A shoot-look-shoot (or shoot-assess-shoot) capability is one in which after firing a first interceptor, time can be taken to assess the lethality of the shot before an additional interceptor is fired. This capability would be more efficient and cost-effective than a salvo shot of several interceptors to kill one incoming warhead. This capability can be achieved by investing in new radar technology such as the Long Range Discrimination Radar (LRDR) and the Air and Missile Defense Radar (AMDR). 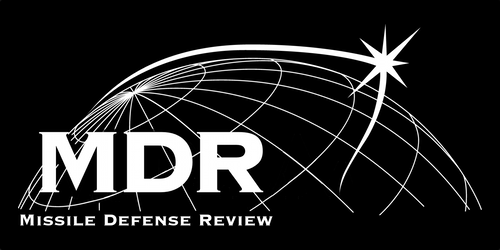 The LRDR is a land-based system designed to provide a persistent midcourse discrimination capability. This will improve the GMD by allowing the system to track an incoming missile through all stages of flight. The AMDR suite of capabilities will be deployed on ships and help detect threats in the presence of heavy land, sea, and rain clutter. Improved persistent radar capabilities that can continuously detect an incoming missile are essential capabilities that will improve the effectiveness of our national missile defense system. While GMD has experienced setbacks, other missile defense systems boasting similar hit-to-kill technology have proven to be successful in combat situations. In a 2004 Report discussing the effectiveness of the Patriot system during Operation Iraqi Freedom, Col. Charles Anderson announced that the Patriot system intercepted 9 out of 9 enemy tactical ballistic missiles. Iron Dome has also proven to be highly effective in the battlefield. This past July, Israel said that Iron Dome has successfully shot down 90% of Palestinian rockets. Strong test records also make it difficult to doubt the effectiveness of missile defense. According to the Missile Defense Agency, 65 of 81 hit-to-kill intercept attempts (80%) have been successful across all programs since the integrated system began development in 2001. This includes Aegis, GMD, Terminal High Altitude Area Defense (THAAD), and Patriot. Aegis with 28 out of 34 intercepts and THAAD with 11 out of 11 intercepts have been particularly successful. While the ballistic missile threat is very real and growing, our leaders must exercise patience. The American taxpayers deserve to see their investment in missile defense well spent on a system that has been through a thorough engineering cycle and sufficiently tested. It’s time for a missile defense system that adheres to a technical timetable rather than a political one. This entry was posted in Ground Based Midcourse Defense System and tagged Air and Missile Defense Radar (AMDR), Congress, Defense Policy, Department of Defense, Exoatmospheric Kill Vehicle, Government Accountability Office, ground based Midcourse Defense system, Long Range Discrimination Radar, Missile Defense Agency, missile defense testing, the White House. Bookmark the permalink.